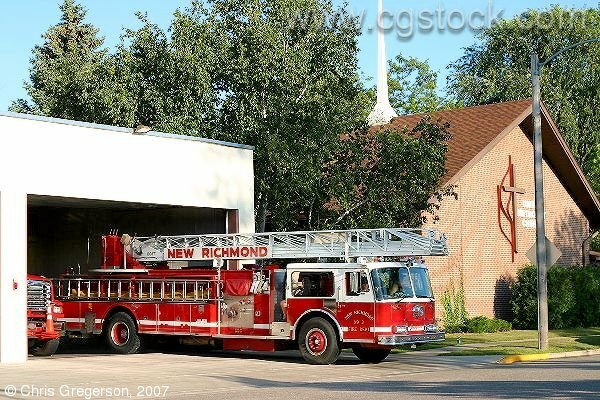 This is the NR Fire Dept. 's aerial ladder truck (I think) pulling out on an apparent call. The New Richmond United Methodist Church is in the background.